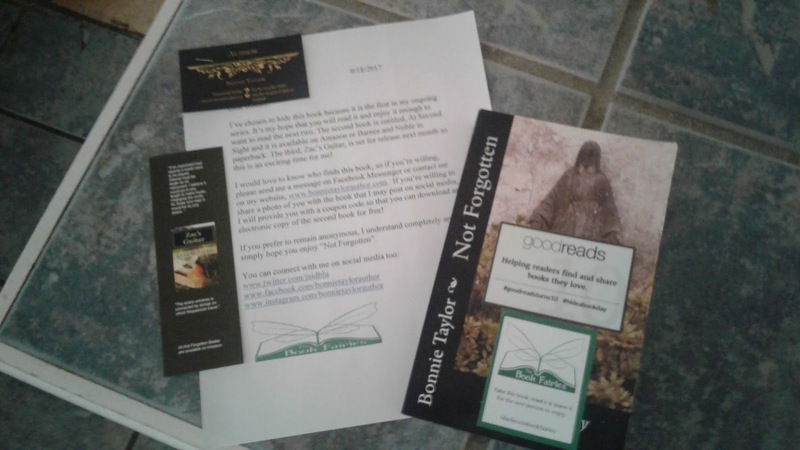 We proudly participated in the Good Reads anniversary hide a book day co-sponsored by The Book Fairies. We hid a copy of Not Forgotten - Lilly's Story along with a letter and a Zac's Guitar book mark. 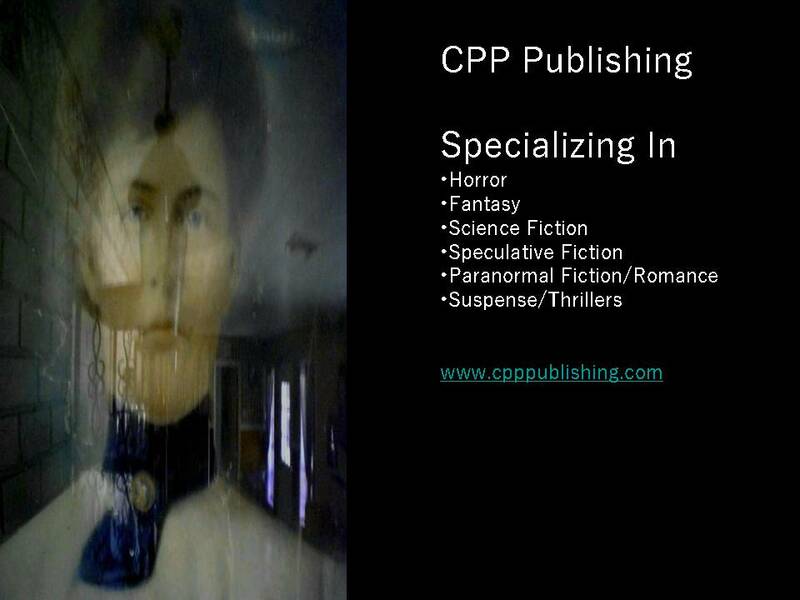 In the letter, we provided contact information and asked the "finder" to send us a photo of them with the book. In return, we gave them an additional book, At Second Sight, book two of the Not Forgotten Series. 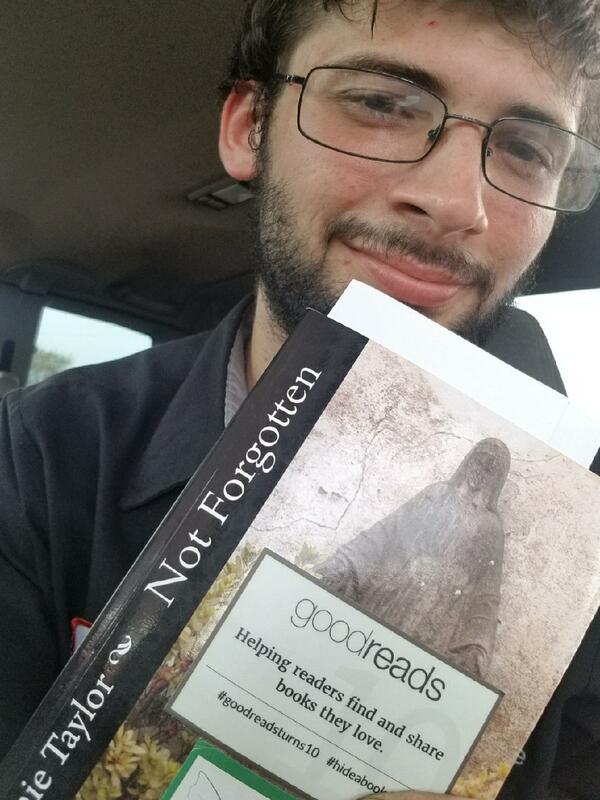 Shawn Scarbrock, the young man who found the book, obliged and received two autographed books! He liked them so much, he later purchased the third book in the series via our Kickstarter campaign. He now owns the entire series, autographed by the author!